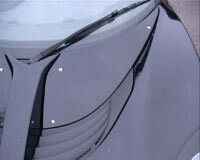 Autostyle Solutions I-Bar removable gull wing roof . 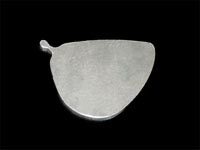 The development of the I-Bar is based on existing and proven aircraft and Formula 1 racing technology. The I-Bar roof will consist of a centre I section and two removable gull wing roof panels. With the incorporation of the roll hoop cover into the I-Bar design, all variations of the Elise S2 will be able to use this solution. 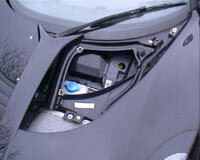 The panels have been designed in such a way that they can be stowed in the boot of the car. 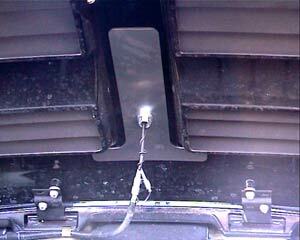 Autostyle Solutions Front Panel Quarter Turn Fasteners. Packs of six quarter turn fasteners (zinc and chromate passivation finish), receptacles and nylon retainers are now available at a cost of £20.00 per pack (including fitting instructions, packaging and recorded delivery) direct from Elise Solutions Limited. Hangar 111 Quick Release Service Panel Kits. Matches the look of the original fasteners. 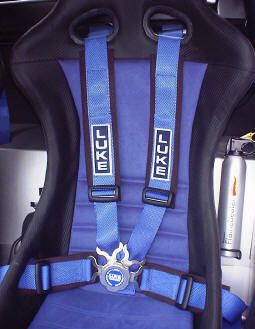 Can be fitted WITHOUT ANY PERMANENT MODIFICATION OF YOUR CAR. 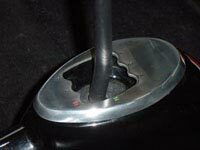 Retains the use of the original Hex key for removal and refitting. 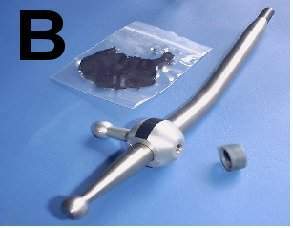 All component parts are corrosion resistant (chrome, zinc, nylon and alloy). 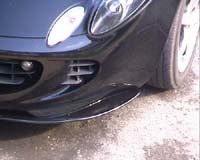 Can be completely removed to allow fitting to another vehicle if required. Panel removal takes less than 20 seconds! BLACK, ROYAL BLUE, NAVY BLUE, RED, BRITISH RACING GREEN AND YELLOW. No more sloppy gear changes with this superb gear linkage upgrade. Basically the kit removes the slackness caused by the rubber bushes Lotus use on the standard cables. New Nylatron bushes and phosphor bronze rod ends are used, creating a smoother and more precise gear change. 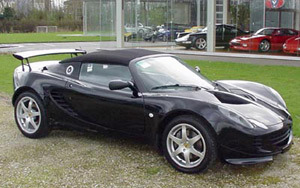 Belgian Lotus importer Alvan Engineering has developed an aerodynamic package for the Lotus Elise 2. 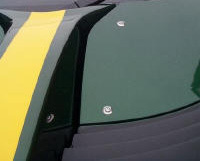 The complete kit consists of a front spoiler, rear wing and rear underside venturi. 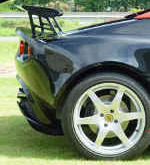 Though the rear wing is reminiscent of the Exige item, it has been particularly designed for the Elise. Gear Gate Cover, Shelf Divider, Handbrake Sleeve, Heater Control Knobs, Oil Filler Cap and Aluminium Window Winders.